Have you ever wanted to see a handful of folders in a collection at the Archives of American Art, but you couldn't find the time to come to our DC reading room? Or maybe you live far away from Washington, and the expense of traveling here is beyond what you can manage? 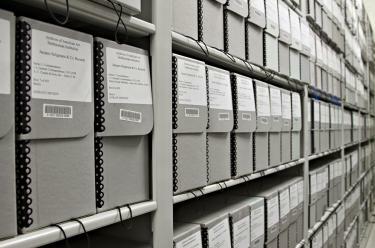 Then the Archives of American Art’s Digitization on Demand service is for YOU! We will ultimately put this digitized material online, linked to its appropriate finding aid, so anyone in the world can access. We’ll use the reproduction statistics from Digitization on Demand to help inform how we prioritize collections for full digitization. Interested in reproductions from collections without a finding aid? Use the “Request a Reproduction” link from the collection description on our website to request reproductions from collections lacking folder-level description. Our reference staff will work with you to determine whether these materials are eligible for PDF delivery.